Surabaya Mount Bromo Ijen Crater Tour 3 Days 2 Nights – Trip to Mt.Bromo and Ijen Crater From Surabaya is the best and best-selling program for foreign tourists by visiting 2 Active volcanoes in east java ie bromo mountain and ijen crater with the charm of the sunrise and the world’s largest sulfur crater lake starting directly from Surabaya airport, railway station or hotel in surabaya and after finish Tour to Mount Bromo and Kawah Ijen return to Surabaya again or to banyuwangi ferry port to Bali. 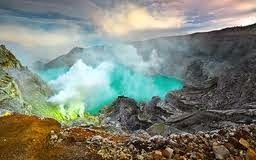 Mount Bromo Ijen Crater Tour Package from Surabaya 3d2N with our travel agent surabayabromotour.com, specialist for trekking tour to mount bromo volcano and kawah ijen blue fire tour. Accompanied by profesional guide and experienced. Early morning wake up at 03:30 AM to see the spectacular sunrise bromo tour with jeep tour 4WD (View Point at Mount Penanjakan). Afterward,tour continued drive down to the of sea sand Mount Bromo, and ride horse or to walk towards the foot of the mount bromo of the volcano crater. Climb 250 steps to the top of mount bromo and look of beauty the bromo crater. After enjoying view mount bromo crater back to the Jeep 4 WD and then towards the hotel to have breakfast, showering and loading your bags. Transfer out to Hotel Ijen Area.stay overnight and free program. Day 03. Ijen Blue Flame Tour – Surabaya (Drop Off). At Midnight depart to the Paltuding (pos climbing to Ijen crater). From Paltuding and start trekking up to Ijen Plateau for blue fire, the trip is 1,5 hours. Arrive in the rim of Ijen Plateau, enjoy here. (Ijen Crater is best volcanoe in Indonesia, Ijen Crater is the biggest crater lake in Java. The sulfur crater lake lies between a natural dams of deeply etched rock It is 200 meters deep and contains about 36million). After enjoy back to paltuding and transfer out to Surabaya. End our service. Surabaya Bromo Ijen Blue Fire Tour 3 Days 2 Nights is the populer tour program surabaya east java for 3 Days 2 Night. Mount bromo have the best view sunrise while the mount ijen have the best scenery lake sulfur and blue flame.